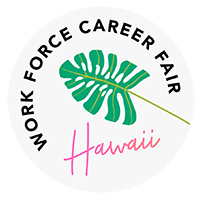 Yes, we host the largest career fairs on the island of Hawaii 3x a year, but that’s not all we do! We use our expertise to help give employers the time to focus on theirs – recruiting top talent. Our team uses the latest and most relevant tactics in recruitment advertising to help attract the people you’re business is looking for. We’re to go to resource on the island of Oahu for recruitment needs! Want to see if we’re a good fit for each other?